Male breast cancer (MBC) is extremely rare and poorly characterized on the molecular level. Using high-resolution genomic data, we aimed to characterize MBC by genomic imbalances and to compare it with female breast cancer (FBC), and further to investigate whether the genomic profiles hold any prognostic information. Fifty-six fresh frozen MBC tumors were analyzed using high-resolution tiling BAC arrays. Significant regions in common between cases were assessed using Genomic Identification of Significant Targets in Cancer (GISTIC) analysis. A publicly available genomic data set of 359 FBC tumors was used for reference purposes. The data revealed a broad pattern of aberrations, confirming that MBC is a heterogeneous tumor type. Genomic gains were more common in MBC than in FBC and often involved whole chromosome arms, while losses of genomic material were less frequent. The most common aberrations were similar between the genders, but high-level amplifications were more common in FBC. We identified two genomic subgroups among MBCs; male-complex and male-simple. 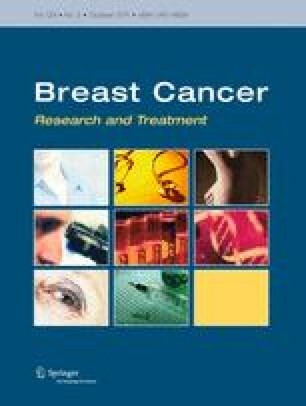 The male-complex subgroup displayed striking similarities with the previously reported luminal-complex FBC subgroup, while the male-simple subgroup seems to represent a new subgroup of breast cancer occurring only in men. There are many similarities between FBC and MBC with respect to genomic imbalances, but there are also distinct differences as revealed by high-resolution genomic profiling. MBC can be divided into two comprehensive genomic subgroups, which may be of prognostic value. The male-simple subgroup appears notably different from any genomic subgroup so far defined in FBC. The online version of this article (doi: 10.1007/s10549-010-1262-8) contains supplementary material, which is available to authorized users. The authors wish to thank the Pathology Departments within the South Sweden Health Care Region for providing tissue for the study. This study was supported by grants from the Swedish Cancer Society, the G Nilsson Cancer Foundation, the Mrs. B Kamprad Foundation, and the Lund University Hospital Research Foundation. IH was supported by the Swedish Cancer Society. The SCIBLU Genomics center is supported by governmental funding of clinical research within the national health services (ALF) and by Lund University.